"Thanks once again Thomas, great time had by all. Will be coming back. " 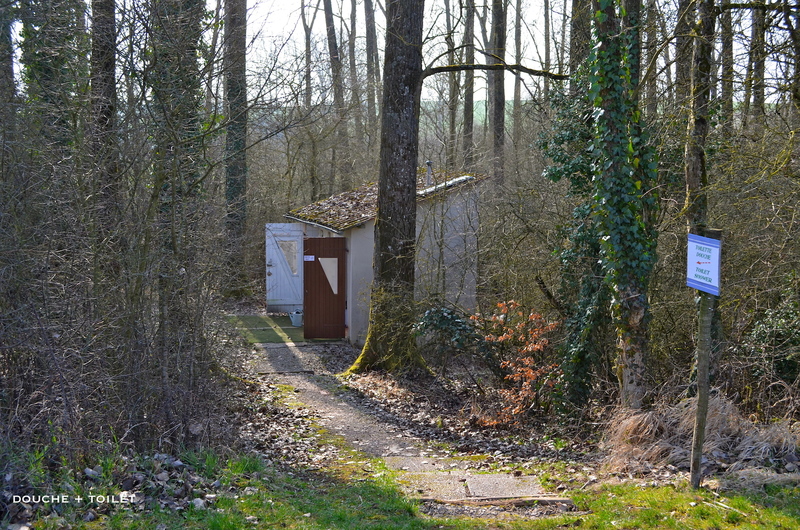 "Very scenic venue with facilities close by. 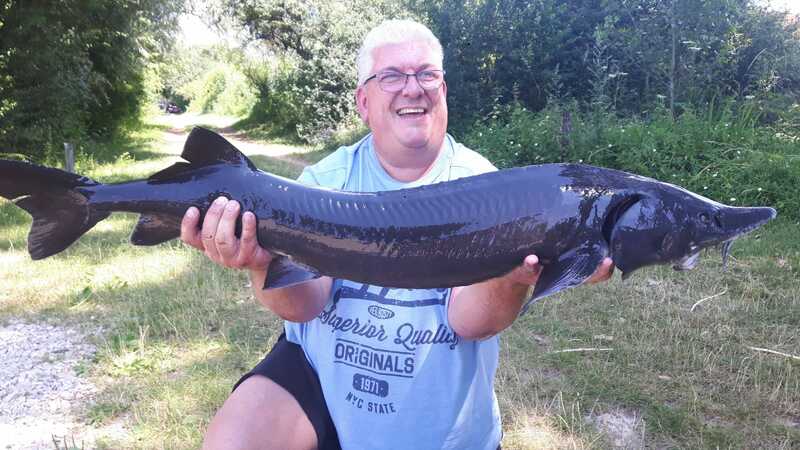 Some of the double swims are a bit tight for 8 rods but no doubt the fish are a good average size. Tench, and big ones at that, can be a bit troublesome but at least they test that you are presenting correctly. The commons in here do pull your arm off so be prepared, we had a 40lb plus common that had 5 lots of tackle hanging from its mouth proving he was the stronger than at least 5 anglers. He snagged 2 of our lines and we got him in only to a dual effort. Fish taken from all areas and they seem to like particles and boilie. Baliff does not speak great enlish but we got there in the end. " 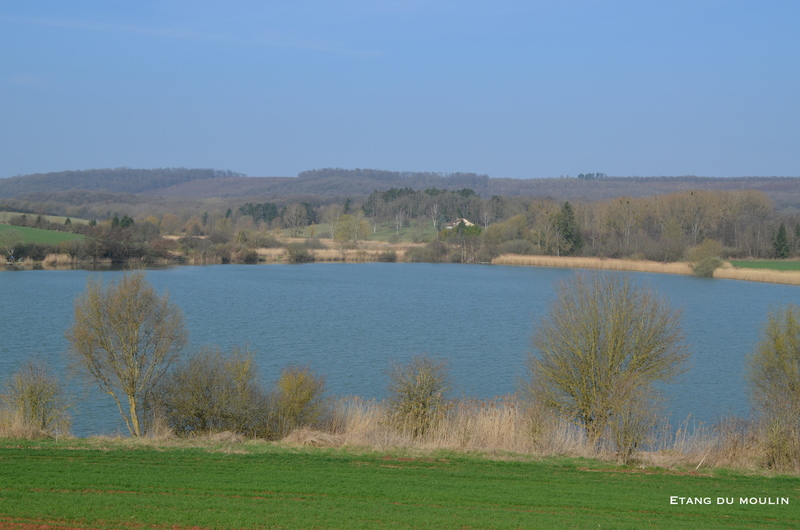 Etang du Moulin is a very natural looking lake in a vast landscape where tranquility rules. Just before arriving, when you take the last turn on the path leading to the venue you'll get the fist glimpse of the lake amid the hills from a height and you'll just know: this is going to be a good one! 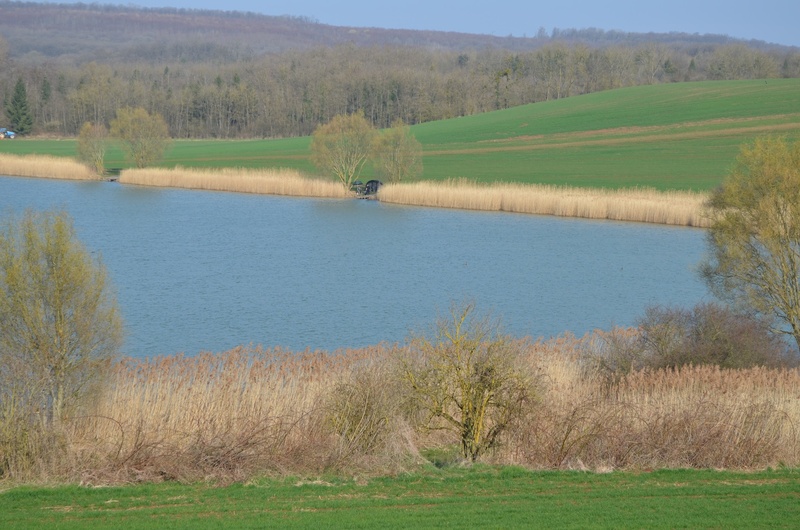 This 44acre lake was created by building a dam for agricultural purposes, but now it's only being used for carp angling. The current owner started this activity 12 years ago en has not allowed any other activity since. The whole lake has been made obstacle-free. Depths vary between 4 and 13ft, with an average of 8ft. The deeper zones are to be found around swim 22. In summer you can expect some weed-growth around swim 26 and 8 but this has never been problematic. This venue is situated a bit more to the north than most of our lakes, and it's higher. This implicates colder temperatures, and therefore the lake is closed during winter months. This being said, don't underestimate the temperatures in summer. There are quite a lot of swims here, but most of them are one angler only. Also, a maximum of 16 anglers is set to fish at the same time. Swims 1,3,5,18, 24 are double swims. Swims 1,3,5,7,8,24 and 26 are accesible by car and your car can be parked there as well. All of the other swims can be reached on foot or by bike, your gear will be dropped of by the bailiff by boat. The last time that the lake was emptied to count fish was 12 years ago. At that time, 8 tons of carp between 15 and 18kg were counted. 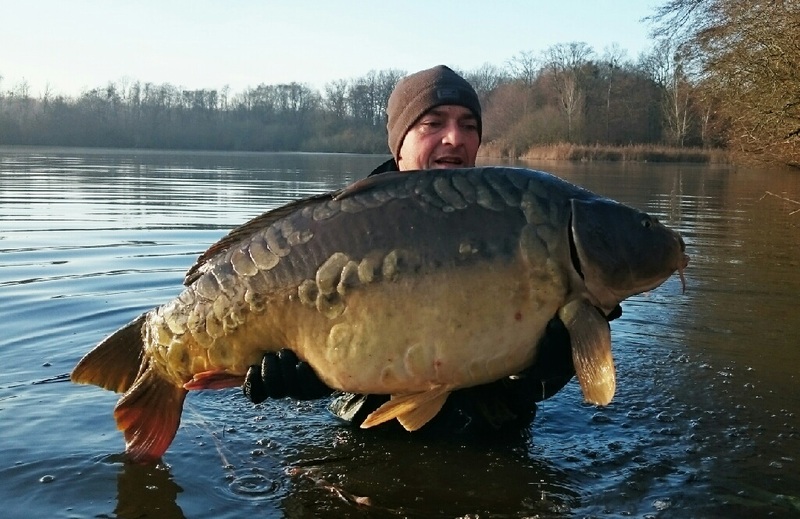 So that should have been a number between 445 and 534 carp. These have grown quite a bit since then, resulting in a few 30+kg fish and a lot of carp between 25 and 30kg. Those are caught regularly. Next, the owner has been restocking every second year, 6 times by now, about 70 fish per year each time. 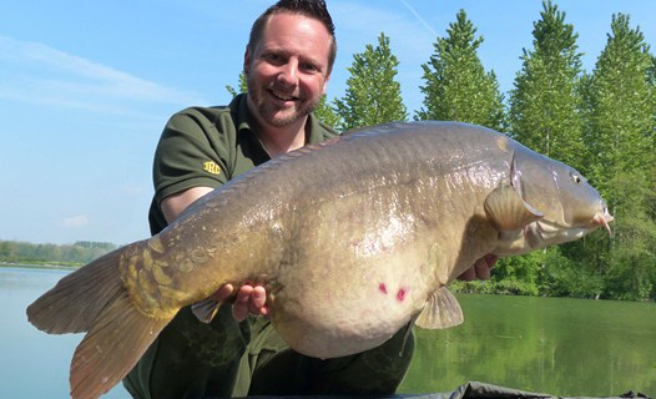 In total that gives us a total number between 865 and 954 carp, not counting any offspring! 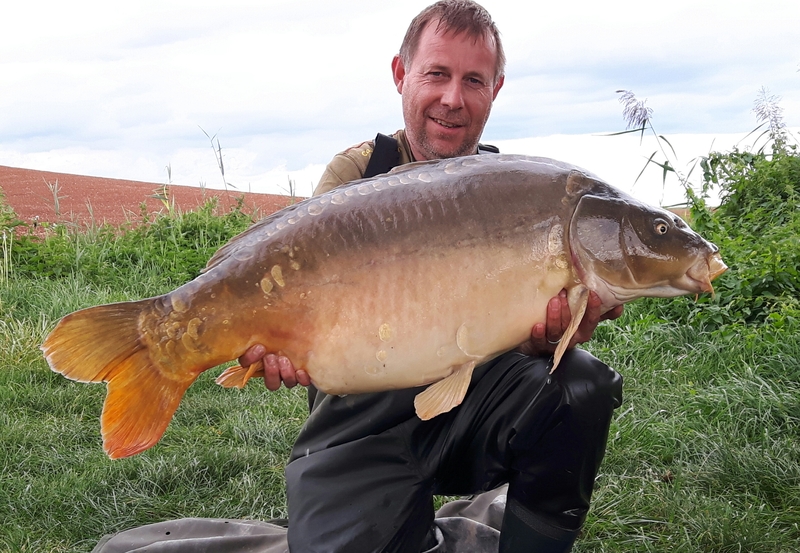 The lake record is a 32kg mirror carp, and a 31,5kg common. There are also a multitude of big koi on this water, making this one of our top venues for all of those specimen-hunters out there. Be sure to check out the pictures for more details. Simple but good is the best way to describe it. There is no running water or electricity on the venue, so they had to come up with a solution: solar energy heats enough water for a nice hot shower, and there is also enough electricity for charging mobile devices if you want. Each day there is an "ice service" (5€ per week) where they will bring you 2 frozen bottles of water to keep your coleman cool. In the neighbouring town of Dieuze there is absolutely everything you could possibly need: pharmacy, supermarket, bakery, butcher, tobacco, ... Howerver, there is no tackle-shop, so keep your check-lists close before leaving. There is no option of leaving garbage on the site. You need 2 transparent bags (can be bought on site for 10€), one for recycable materials and the other for the rest. In the littel village or on the motorway home you can leave most of your garbage. 3. Baitboats & boats aren't allowed. 5. Allowed rigs: “carp friendly” rigs (safety bolt rigs), barbless hooks and hooks with micro barb (max. size 2) and nylon mainline. The hooklink should allways be less strong than the main line. 6. Not Allowed: carp sacs, bent hooks, braided line, peanuts, tiger nuts. Lead Core is not allowed. Rig tube is allowed. 15. Arrival after 12.00 h. Departure before 12.00 h.
19. Only recycable garbage will be accepted. Garbage should be kept separatly. If not you will have to take it home with you. Keep your garbage out of reach of uninvited animals.